Natural Womanhood is an awareness campaign about the natural benefits of fertility charting as an effective and healthy alternative to contraceptives. 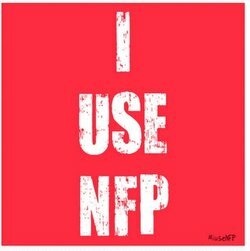 iuseNFP is a website designed by women, for women to communicate the importance of Natural Family Planning (NFP). It is a non-religious, non-sectarian website which all are encouraged to visit. A funny and informative blog which frequently discusses NFP, contraception, what the Catholic Church thinks about them and why. Resources for Catholic engaged or married couples, as well as families. Free Monthly date night with appetizers and a short talk to help you get your own personal date started. The Family Life Office works to promote healthy, happy, and holy family life. They support parishes in the areas of marriage preparation, marriage enrichment; natural family planning; grief support for all ages; troubled marriage support and more. The office also assists lay Catholic organizations and apostolates in their work related to families and parishes. 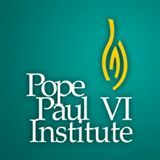 The birth place of Creighton Model and NaProTechnology, the Pope Paul VI Institute is located in Omaha, Nebraska. Featuring cutting edge treatments for endometriosis, hormonal imbalances, and other reproductive health issues, the Institute offers a wide breadth of knowledge and help for women and couples seeking answers. ​A safe place to renew, rebuild and redeem hearts broken by abortion. Weekend retreats offer you a supportive, confidential and non-judgmental environment where women and men can express, release and reconcile painful post-abortive emotions to begin the process of restoration, renewal and healing.